It’s officially winter now in Japan. The first snowfall has gone and passed and Christmas is a little more than two weeks away. 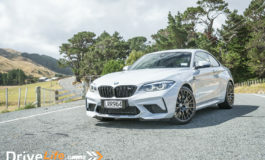 That means people are less likely to take their supercars out for random weekend drives like they did in the summer. So thank god for these meets organised by various supercar owners clubs that gives them an excuse to take their supercars out. Hanyu PA, about an hour north of Tokyo, was the meeting place for this particular meet with their final destination was a hotel in Nasu, Tochigi. Nasu was about a two and a half hour drive from Tokyo so it made sense for the owners to meet up and regroup at a sort of halfway point. Hanyu PA is one of the bigger motorway parking areas, though not quite the same scale as Daikoku. When I arrived at the meet the first thing I noticed was how full it already was before the scheduled meeting time. I know Japanese people are punctual but it looked like they’ve been there for at least an hour. 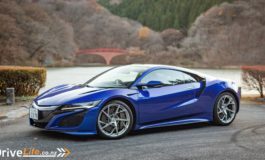 The area designated for buses and trucks was completely filled with supercars. Not just typical supercars too, but every kind you could think of. 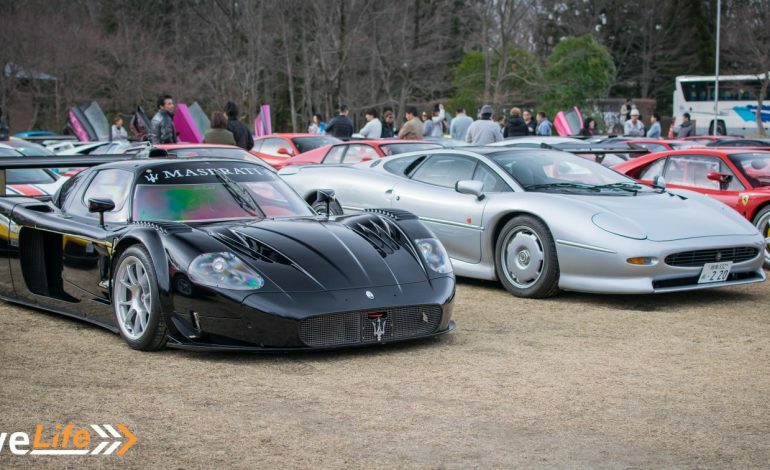 Classic and rare supercars such as the Jaguar XJ220 and Lamborghini Miura were there. 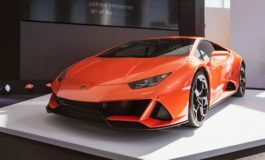 Modern supercars such as countless Aventador SVs, supercars that shouldn’t even be on the road such as a Maserati MC12 Corsa, and of course tuned supercars such as Liberty Walk Lambos and RWB Porsches were represented. I had been to these Hanyu meets before but this one was the biggest and most insane one yet. 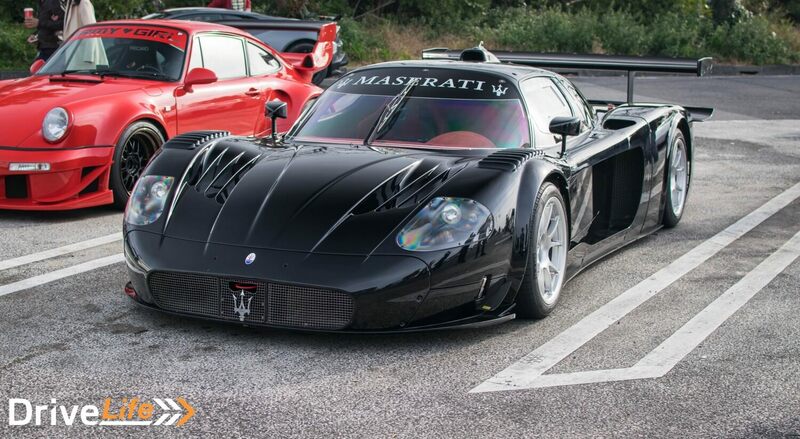 The variety of supercars that were there and the ones that came later left me speechless. Well, that’s not quite speechless but more I couldn’t think of anything else to say but profanity. It all started when a F40 LM, or what I thought was a F40 LM showed up. 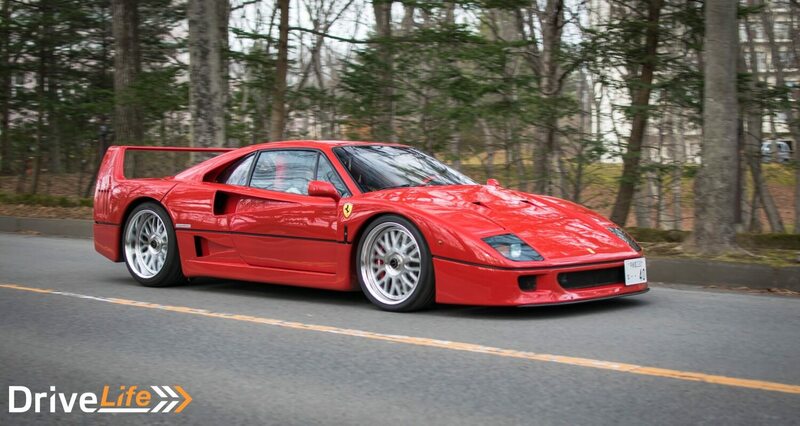 It turns out it was just a very VERY convincing LM kit on a F40. Still, it did look very cool. 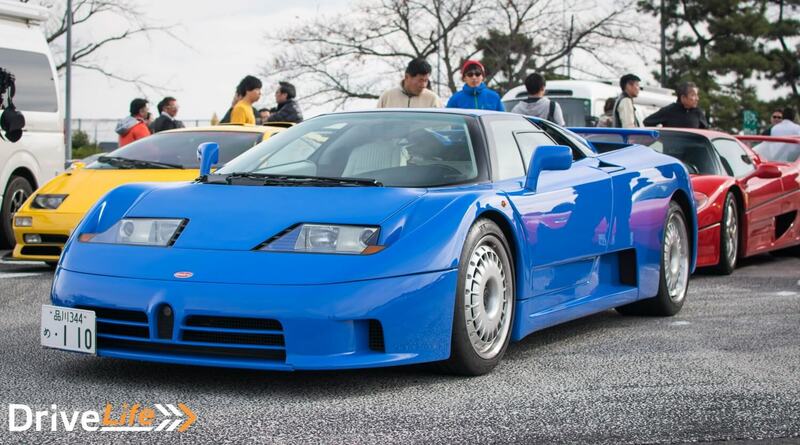 Not long after that, a Ferrari F50 casually rolls in with a very blue friend – a Bugatti EB110. 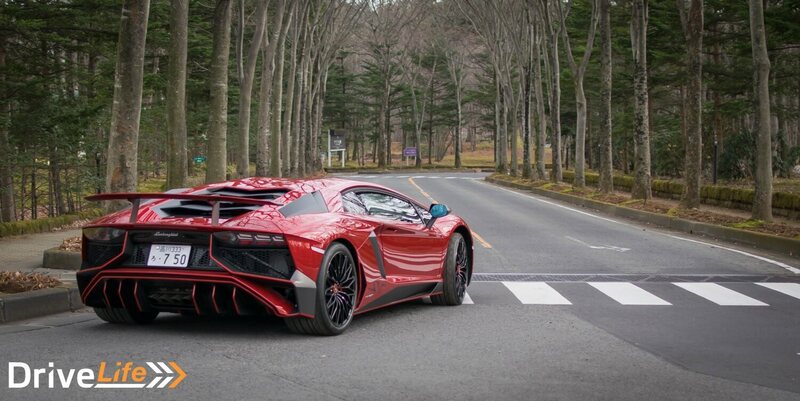 Now, I’ve been very spoiled by seeing lots of modern supercars around Tokyo on quite a regular basis. But seeing these older supercars from my childhood was proper treat. A prime example of how excited I was from seeing a F50 and EB110 together, further down the Parking Area was the local Bugatti Veyron. I only realized when I got back home that I didn’t get a single photo of it at the meet. Oops. It’s hard to think of a Veyron I’ve seen so often when literally seconds after the EB110 and F50 parked up, yet another F40 arrives and parks next to the Miura. Just casually. 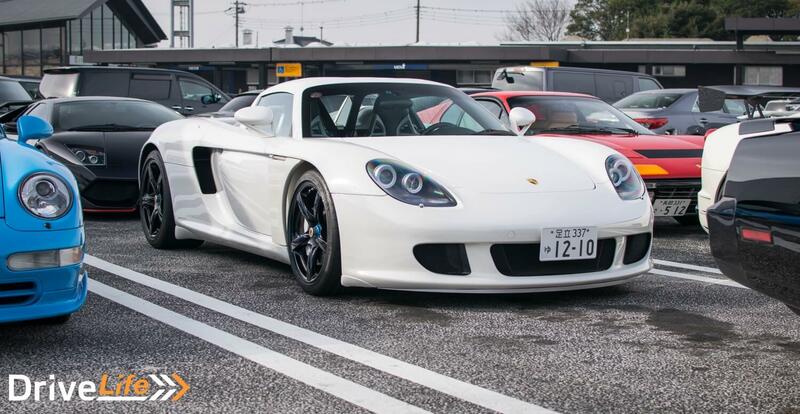 What’s even more ridiculous was within all this madness, hiding in the back were a couple of special white Porsches; a Carrera GT and a 911 GT. It was ridiculous and there were too many other cars there to talk about. Once everyone had gathered at Hanyu, various groups left to go towards their lunch stop/final destination up in Tochigi. I hadn’t planned on going up that far, it was an extra 90 minute drive from Hanyu but after the crazy turnout I just had to see what other surprises there’d be at the hotel. I wasn’t disappointed. 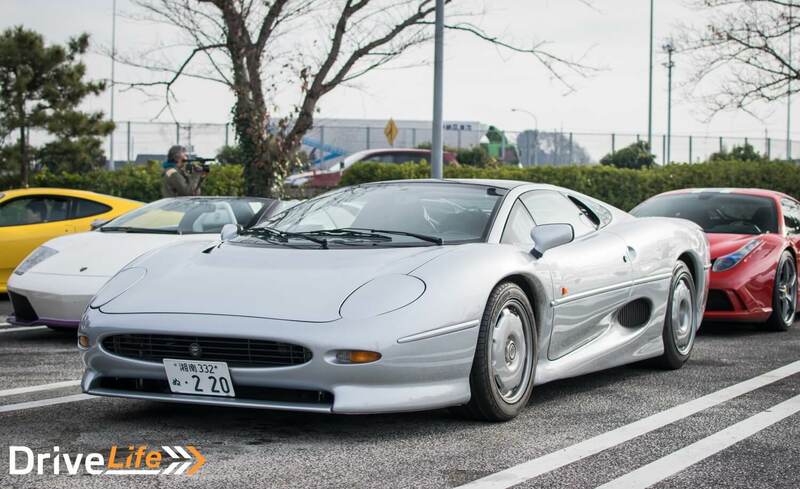 To make up for the LM kit F40, waiting at the hotel parked next to the MC12 Corsa and XJ220 was an actual F40 LM. That makes it the third one I’ve seen. To be honest I thought it was a kit, yes Japan has given me trust issues now. The hotel the cars met up at was quite pretty, the background made for some good photos. Particularly the entrance/exit straight. 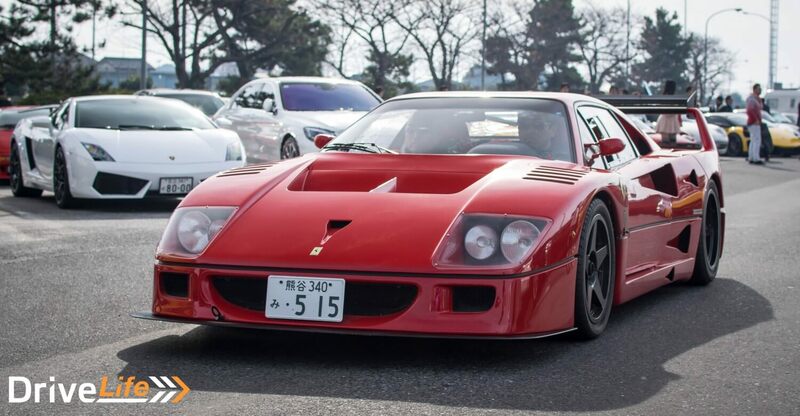 A few other cars showed up that weren’t at Hanyu, such as the third F40 of the day with chrome wheels. After last month’s events I was worried it’d become jaded. Luckily Hanyu happened and proved me very wrong. 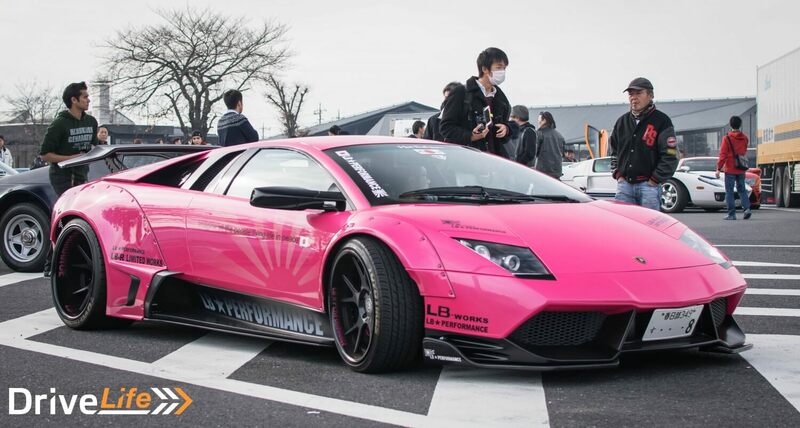 There’s still a lot of life left in Japan’s car culture and this is only the beginning. Stay tuned for more events like this coming in the very near future. In the meantime, have a look through the photos below to see some of the highlights from this meet. Words cannot begin to describe how much I love cars but it's worth a try. Grew up obsessed with them and want to pursue a career writing about them. Anything from small city cars to the most exotic of supercars will catch my attention.